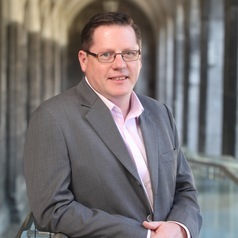 Tony Dundon is Professor of Human Resource Management & Employment Relations at Alliance Manchester Business School, The University of Management. He is a Fellow of the Academy of Social Sciences (AcSS), the Chartered Institute of Personnel and Development (CIPD), and Honorary Visiting Professor at the School of Management at the University of St Andrews. He has held visiting research positions at Sydney University; Deakin University, Melbourne; Queensland University of Technology (QUT); the Centre for Work, Organisation and Wellbeing, Griffith University; and Toulouse Business School. Understanding Employment Relations, (Dundon, Rollinson: McGraw Hill, 2e, 2011).